Fallon Confidential: Fashion's Night Out! The countdown has officially begun...the third annual Fashion's Night Out is almost here! The event's website, which launched yesterday, details all of the different ways fashion lovers can get involved, shop, and enjoy the festivities around the globe. For a list of events in your city and online, click here. 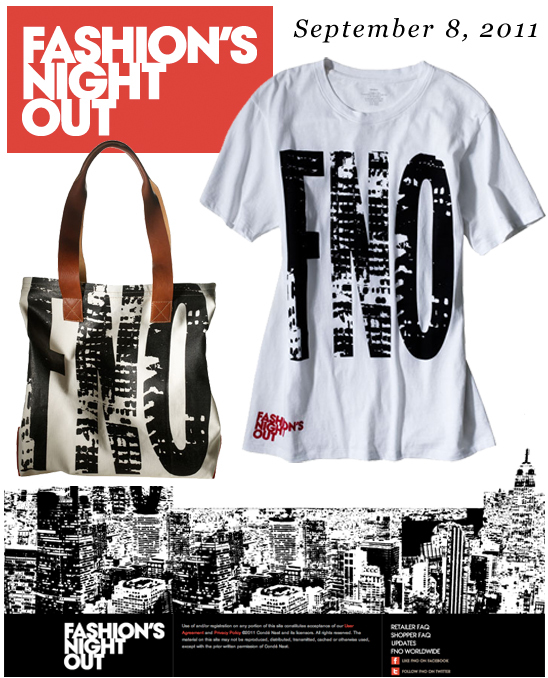 Be sure to check out this year's FNO collection including shirts for men and women, hats, and totes. Prices range from $15 to $50. With each purchase, forty percent of the proceeds goes to the New York City AIDS Fund in the New York Community Trust. Happy shopping!